Featured in main subscription box on 5 October 2017. Today’s beer comes in a 360° can, which means the whole top comes off. Drinking from the can just got a lot easier! Serve this beer at 7°C to 10°C; this means at least an hour in the fridge in real money. Nutty malt sweetness with perhaps hints of caramel, serving as a base for the fresh hop flavours which the brewery describes as ‘a complex array of stone fruit flavours and massive tropical aromas’. We know which hops they’ve used, so we know what to look out for. And of course there may be more on top of that coming from the yeast. Stone fruit aromas in particular can come from esters produced by ale yeasts during fermentation. From the style we would expect a medium body with a crisp bitter finish. This particular beer has an IBU of 25 which is a little lower than usual for the style; the ABV is very slightly lower than usual too. Both of these may combine to give a less intense flavour, or it might just give more room for the aroma to shine. Jury’s out until I get the can open. Pale ales are very versatile and can pair well with lots of foods. One classic example is a burger, but I think we can do better than that. The brewery has actually done some of the work for us here. On their website they suggest pairing this beer with pulled pork burritos or chilli con carne with cinnamon and lime. Both are great suggestions that see the beer paying against rich, meaty flavours with some degree of chilli heat and aromatic spiciness. Hop bitterness can do two jobs when paired with food: it can balance sweetness, richness (fat), and umami; and it can emphasise spiciness (chilli heat). The hops should shine against both of these suggestions. Sticking with the Mexican theme, if you want a veggie suggestion try spicy black bean tacos with avocado and lime. 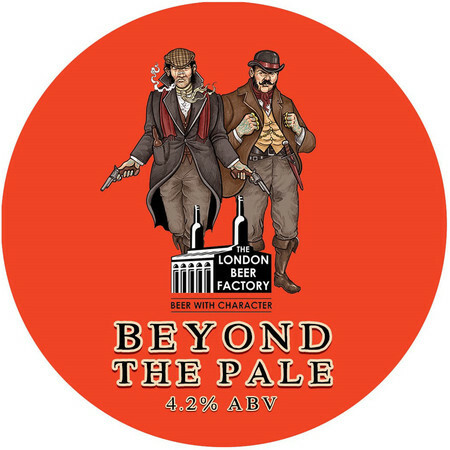 Read more on this beer from BeerBods and London Beer Factory.